Decorate your backyard with the Caped Crusader! 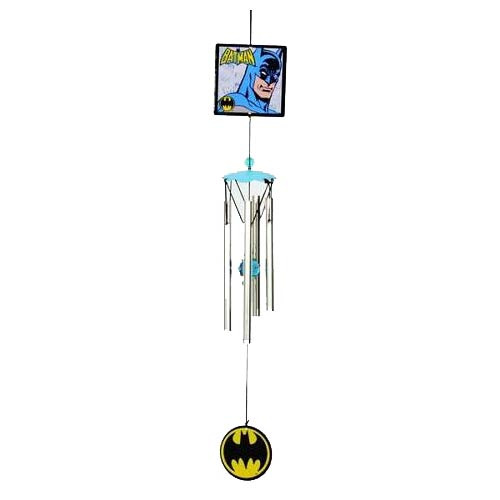 These Batman Metal Wind Chimes will look and sound great on your patio. The chimes feature a comic book illustration of Batman with the Batman logo, while a circular piece that sways with the wind features the Batman bat symbol. The display measures 18-inches long.